Description: Chen ERD is an entity-relationship diagram using Chen's notation. 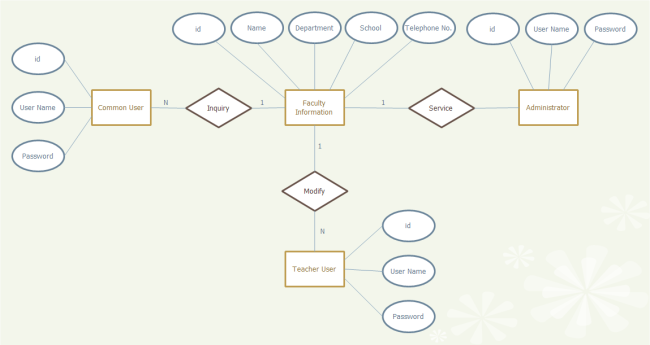 This faculty information Chen ERD is free to download and easy to customize. When opening this template, you can also open the Chen ERD symbol set. By dragging and dropping shapes, you can get a nice Chen ERD instantly.